When you think of a boating holiday, Venice’s gondolas, a kettuvalam (houseboat) in Kerala or the floating markets of Thailand are normally the first to spring to mind. But, I recently experienced an equally magical boat ride on a holiday, somewhere unexpected. 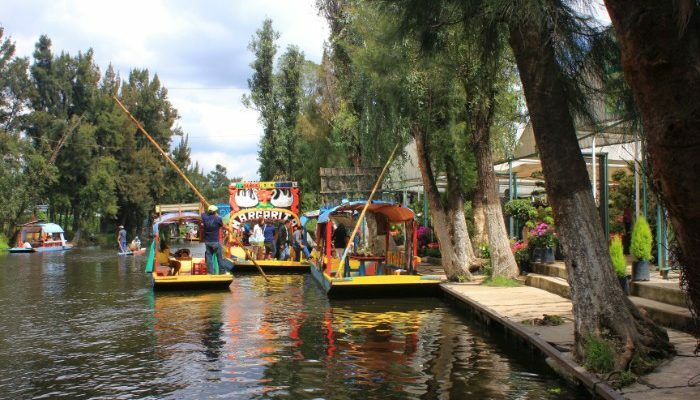 Just 25 kilometres south of Mexico City is a place where locals and tourists alike can spend hours revelling on trajinera boat: Xochimilco. The Floating Gardens of Xochimilco is a network of canals dotted with artificial islands called chinampas, that were built during Aztec times by the pre-Hispanic people. To this day, people continue to live and farm on the chinampas, growing ornamental plants like cactuses, daisies, lilies and bonsai, using traditional farming methods. When we arrived at Xochimilco we boarded our trajinera, delighted to find our boat came with an on-board Mariachi band; their singing, beating drums and lively trumpet really added to the overall experience as we floated along the busiest section of the canal. 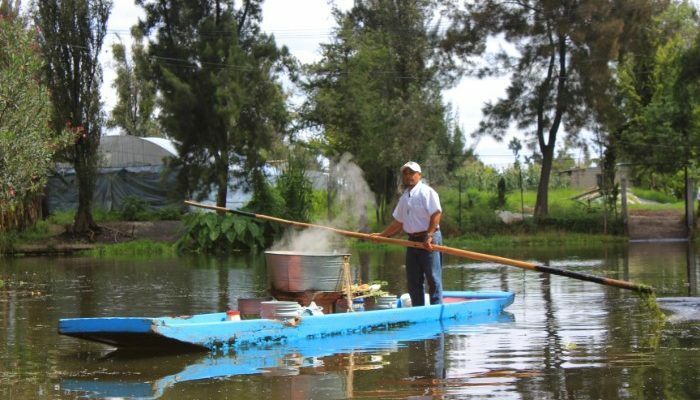 The trajineras of Xochimilco are unlike any other boat I have ever been on. Richly decorated with flowers and painted in vibrant colours (which stand out against the green landscape), each trajinera has a unique name that isn’t replicated among the hundreds of boats on these canals. As our trajinera went deeper into the canals, the sounds of laughter, beer bottles clinking, and the mariachis of the other boats started to fade, replaced by a strange and eerie silence. I looked to the nearby chinampas in this particular stretch and saw a bunch of old, ragged headless dolls hanging from the trees. It sent a chill down my spine and I turned to our boatman to ask him what they were. He told me about a local legend of a little girl who drowned in the canal, and was found by a man named Don Julián Santana Barrera. He found her with her doll beside her, so he hung the doll on the tree as a mark of respect to the girl. 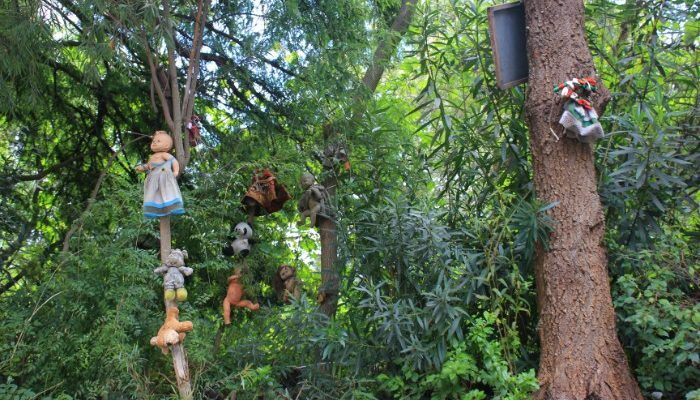 Before long, Barrera heard the wail of a little girl and strange noises in the night, so to appease the spirit that was haunting him, he started hanging more dolls on the island. The practice has continued to this day, which is how the island got its name, Isla de las Muñecas, or The Island of the Dolls. I found the dolls creepy, so definitely breathed a sigh of relief when we re-joined the main network of the canal. Our next stop was a chinampa full of ornamental plants available to buy as a souvenir, or you can just explore the little island – much more cheerful! If you’re after more souvenirs, ladies dressed in local attire will float up to the boat as you cruise along, selling flowers and locally made crafts out of their own little boats. It’s easy to get to Xochimilco – it’s just a one-hour trip on the light rail from Tasqueña station in Mexico City. Once there, a ride on a trajinera costs between 350-450 MXN (20 – 25 USD) per boat and will last two to three hours. I recommend buying some local snacks like tacos and corn on the cob from the vendors on the canals who will row right up to you – they even sell local beers, which you can keep cold in the ice box most boats have on board. Before long, our journey through Xochimilco was at its end. I cherish my memories of this unique boat ride in Mexico – and I had an intriguing story to tell my family and friends back home. 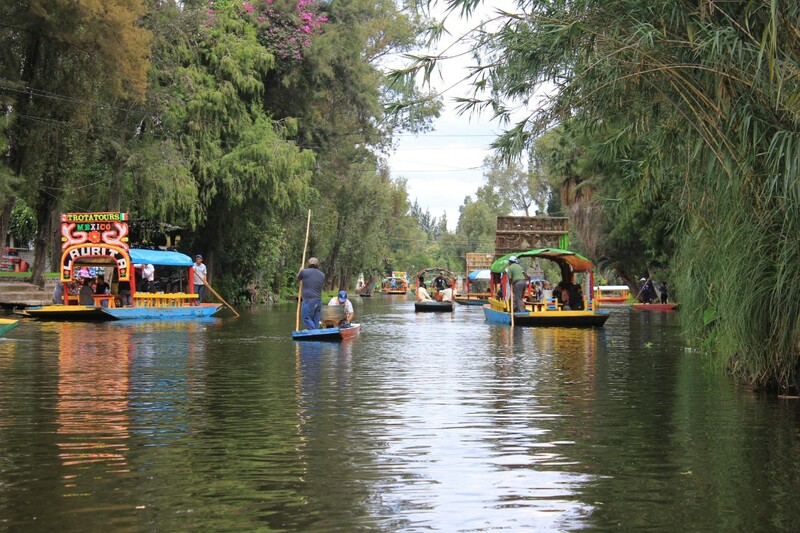 Do you want to experience the Floating Gardens of Xochimilco for yourself? Book a small group tour to Mexico with Peregrine today. 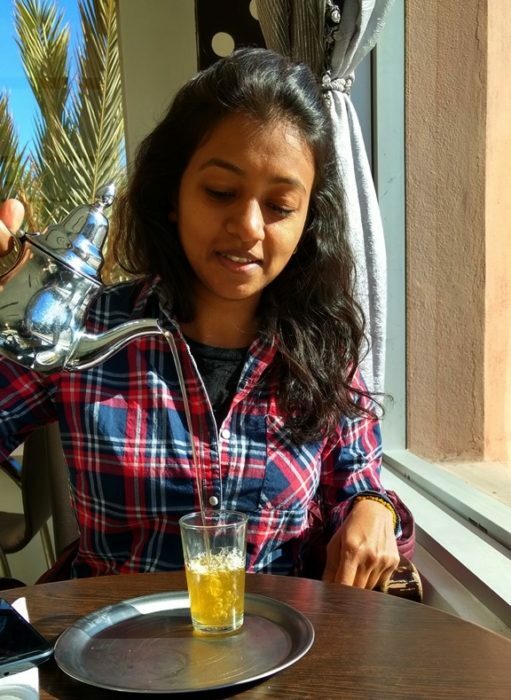 All images by Supriya A N.
I divide my time between enhancing the digital presence of travel businesses and seeking inspiration for my next vacation. On weekends, you will find me in a cozy corner of my room engrossed in the travel memoirs of famous globetrotters. Pencil sketching is my hobby and I sketch places that I have visited in the past to relive my travel memories.